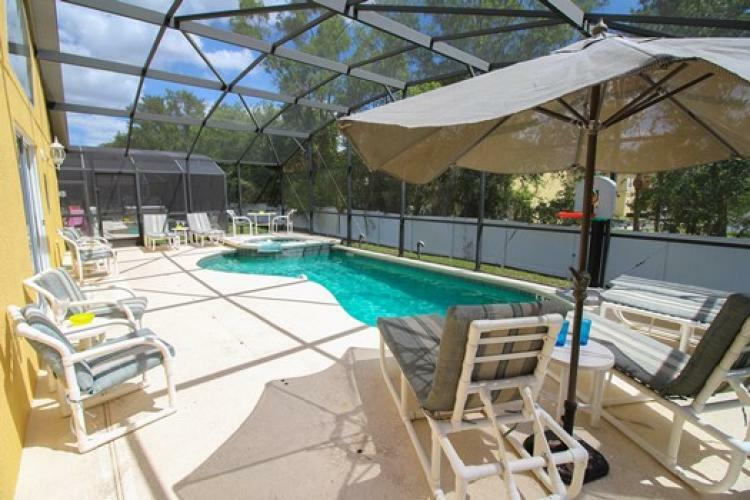 This elegant Orlando vacation rental is a real home away from home. 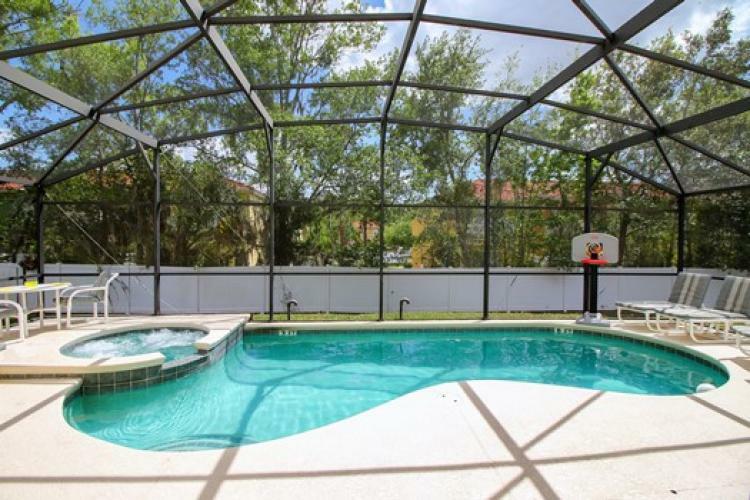 It has a fabulous south-facing pool and spa pool and is a dream rental for your perfect Disney family holiday. 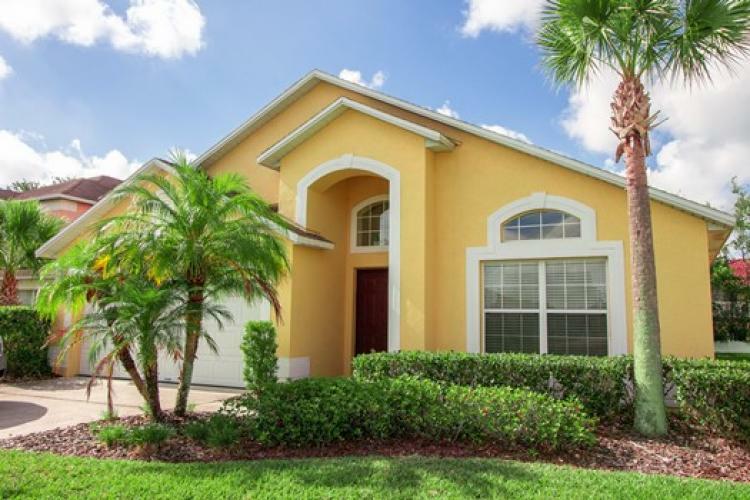 The property is located on the Seasons resort in Kissimmee, which is close to the amusement parks and has a beautiful lakeside setting. You’re also close to bars, restaurants and a choice of family entertainment. · Plenty of off-road parking on the front drive. 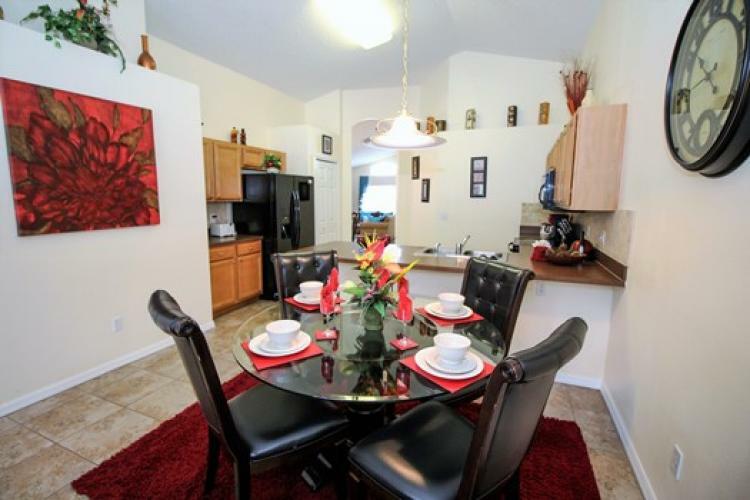 · The large fully-fitted kitchen is well equipped & has a sunny breakfast nook (seating four). 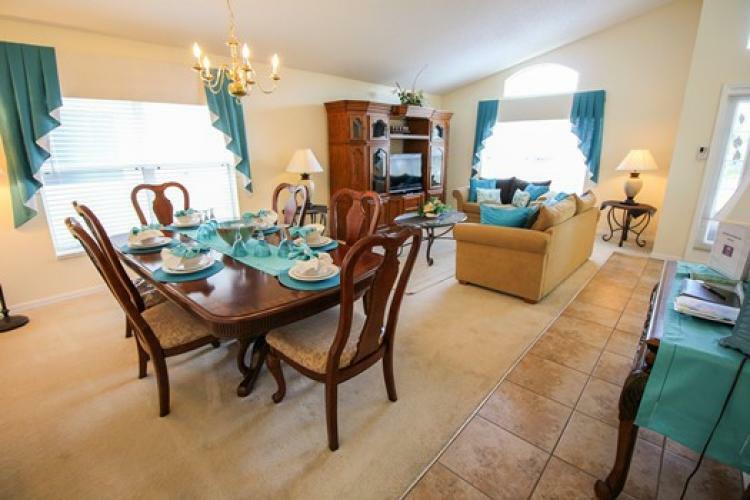 · Family living room overlooking the pool area has leather couches & large TV with DVD player. 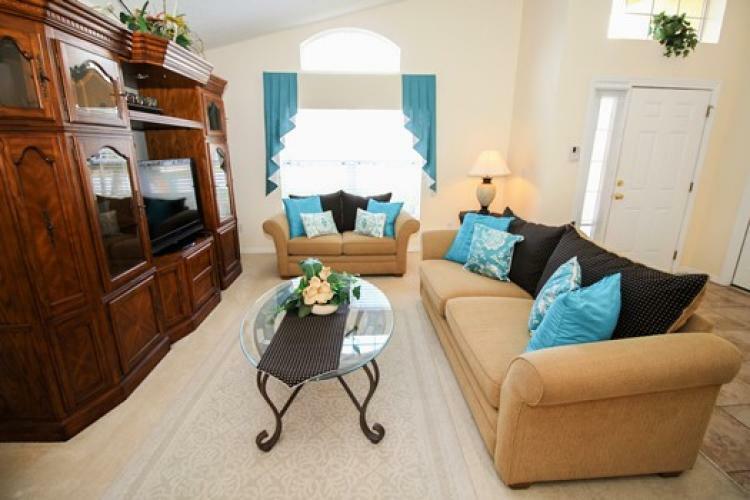 · A second, more formal, living room with TV gives you a little extra space to unwind. · Dining room (seats six). 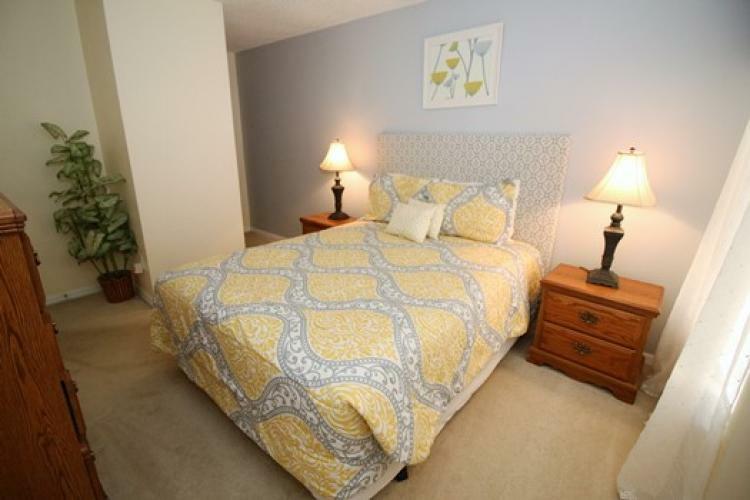 · Luxurious Master Suite with walk-in wardrobe and a large en-suite. bathroom. TV. En-suite has corner bath & a walk-in shower. 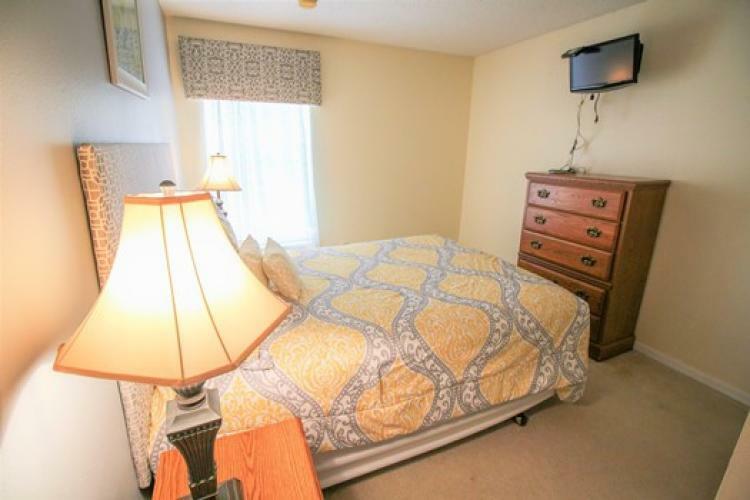 · Twin bedroom with two single beds. TV. · Additional double bedroom with pool view & TV. 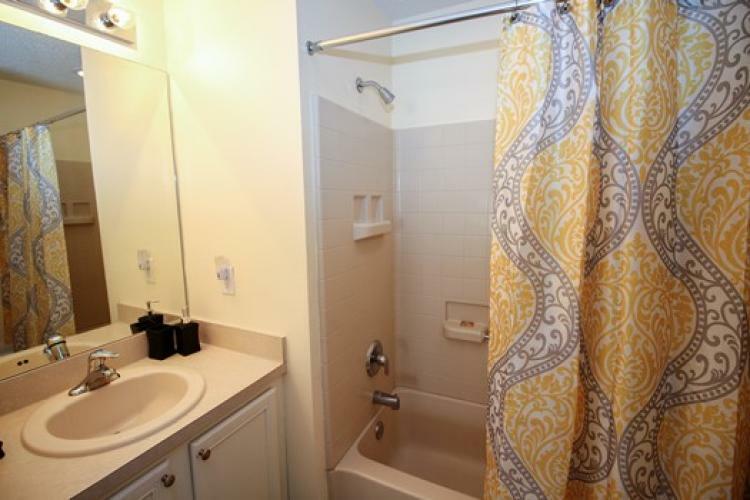 · Family Bathroom with Bath & shower over. · Games room with foosball, air hockey & a pool table. · Fantastic pool area: the pool is south-facing and also has a spa. It is not overlooked and is very private. · Loungers, table and chairs are provided around the pool. Pool can be heated at a small additional charge. Pool fence available for families travelling with young children. 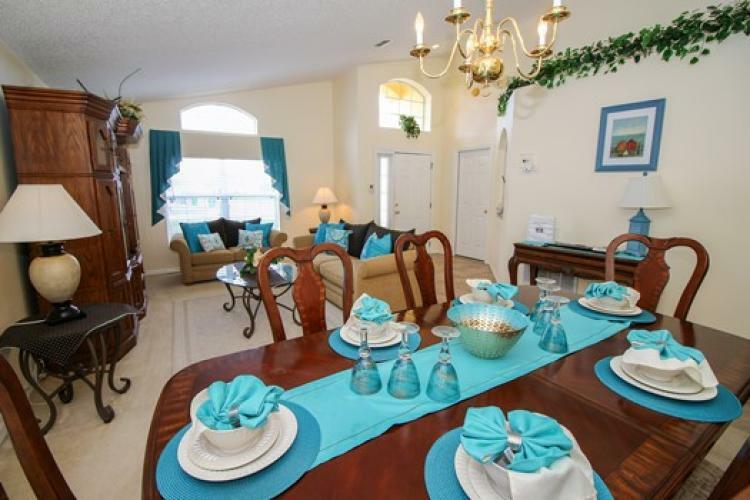 Seasons enjoys a great Kissimmee location just off the 192 highway. 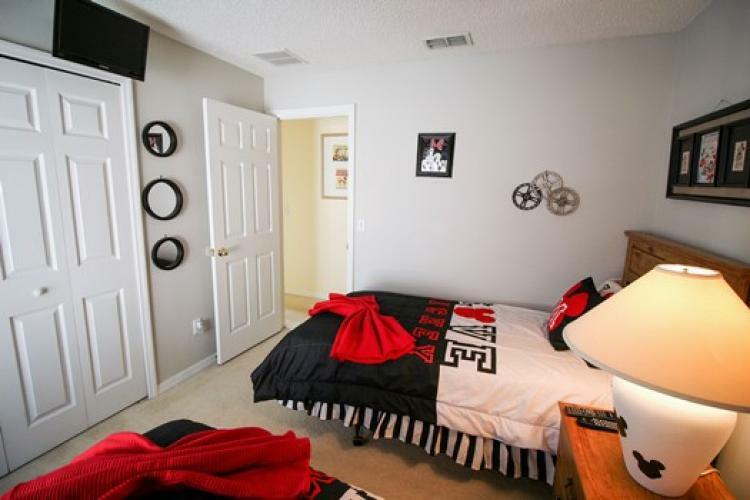 This means you are within easy reach of Orlando’s main tourist attractions; Disney is just ten minutes away. You’re also within easy driving distance of a whole host of restaurants and malls, including a 24-hour grocery store. It is a peaceful resort built around lakes and there’s a children’s playground and lakeside walk. Directions from Orlando International Airport. Follow the signs for South Exit 417 onto Boggy Creek Road and then join the 417 South (Toll Road), (you will need some US $ to pay the tolls), then take Exit 6 for International Drive and Kissimmee. At the second set of Traffic Lights, turn Left/South on the 535. After approx. 2 miles, turn Right onto Poinciana Blvd. and travel South across HWY 192. At the 1st set of Traffic Lights after the Fire Station, turn Left onto Oren Brown Road. Then turn Right into Seasons Blvd after approx. 1/2 mile.